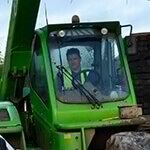 HFD Training Services is based in Hereford, we are an established company offering Forklift Training & Driver CPC Training to businesses throughout the Midlands and beyond. Providing a friendly and professional service, our prices are very competitive and distance no object. 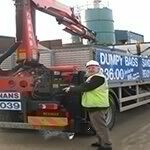 Our team are all fully insured, giving you and your staff the highest level of training to minimise accidents in the workplace and increase safety awareness. The HFD team is made up of training professionals and support staff who provide 24/7 nationwide coverage. HFD’s greatest asset is its depth of resource in people and systems. Our company culture is based upon a total commitment to understanding customer needs, offering cost effective solutions and putting the increasingly complex needs of our customers first. Our customers range from individuals, small, medium and large sized companies. We can train a single operator, right through to meeting the volume and needs of major manufacturing, retailing and distribution companies.